The time has come to share with you something about myself and I really have no idea where to start. Work wise, I do pretty much everything that my colleagues deal with on a daily basis, so I wouldn’t want to just repeat things and will only say “I do my best to help with everything I can”. Whenever I’m not working, I love playing computer games, as I’ve been a passionate gamer my whole life. Also, this may sound super strange, but I adore all things girly such as taking care of my long ginger locks, applying make-up, buying clothes, that I’m going to wear only once xD, and working out. Ok, I assume most of the males reading this letter already fell asleep, sorry boys, I will get back to gaming! My strength has always been MMORPGs, Strategies and MOBAs. I got caught up in playing Shooters a few years ago, but I am a total noob, my aim is beyond horrible soooo I decided to stick to what I love playing the most – MOBAs and MMORPGs. My best roles have always been ranged characters and magicians. For some reason I can’t play tanks and assassins, just can’t work them out! Also, of course, as you could imagine I make a great support (duh, I mean, that would be pretty obvious given the fact that I am a girl xD). When I’m not doing one of the things I mentioned above, I love taking long walks in the park with my loved ones. I adore nature, and since I live in the city, the only way to be in touch with nature is our green parks! I am a huge food lover as well, not to mention my sweet tooth that I cannot satisfy no matter what I do. I love experimenting in the kitchen and as every stereotypical woman – I do stay in the kitchen a lot but unlike some women, I love it! One of my biggest dreams is to travel the world. The perfect combination would be to try out delicious and unknown dishes, be in the nature and try out new activities (swimming with dolphins, for example, I’ve always wanted to do it). To finish off this long letter, I want to add that I can’t imagine my life without music. I listen to music all day long and there isn’t a typical genre that I would enjoy. You could see me shaking my body to Latino songs and in the next 5 mins I could switch to Dubstep, a bit later – Classical music. I am a strange bird, I know! Big thanks to all who read the whole letter, I sincerely hope that at least some of you were able to paint a picture of myself, even if it’s just a rough draft. I wish you an amazing week, stay inspired and conquer the world! Your creations were so amazing, that it took me a week to finally choose a winner and I was still unable to do it. This is why I decided to pick two winners!! We have two first places - one of them belongs to Gael, and the other one to AYLIF. Since now I have two signatures, I will be changing them every month. How lucky am I? I will contact 1st, 2nd and 3rd places for their rewards. All other rewards will be sent in the next few days. OMG, I really have no words to explain how beautiful and simply wonderful your creations are!!! Making a choice is going to be almost impossible! Please, don't judge me if I cannot decide for a day or two! You are all amazing!! For this event you can submit as many entries as you want. If, for example, you cannot choose between two creations, send them both. I won't limit you in any way. Have fun, lovelies! If it is not clear enough, our intention is to engage our talented players to create something beautiful and to have fun at the same time. On top of it, we want to give free rewards, which on my opinion are never bad. If someone does not want to participate, please just don't do it. As a matter of fact, Paint is a fun program, sadly my colleagues don't use it. Me on the other hand, I've been using it for fun ever since I was little Let's not insult people and respect everybody, because we're not here to judge. Have fun and have a wonderful day! I was looking at all those cool signatures that some of you have and was thinking that I need one as well! Will you help me polish up my profile a bit? 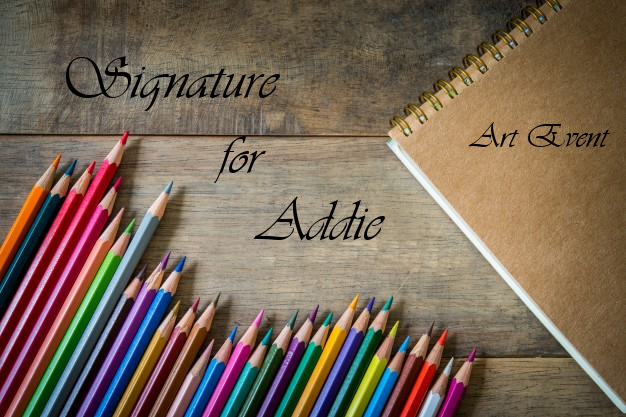 Create a Signature for [CM]Addie a.k.a me and post it in this thread. The winner's creation will be added to my profile. I will give you some hints. Things that I like/adore - cats and dogs; big, dangerous and wild cats; animals in general; LOTR (Lord of the Rings); elves; dark elves, cool sets like the Destruction set in S4 League and many more. I would love to see how your imagination works. Be creative! The event will run until 20.05.2018. Are you tired of Winter already? Maybe it's time for a change? Yes, it is! 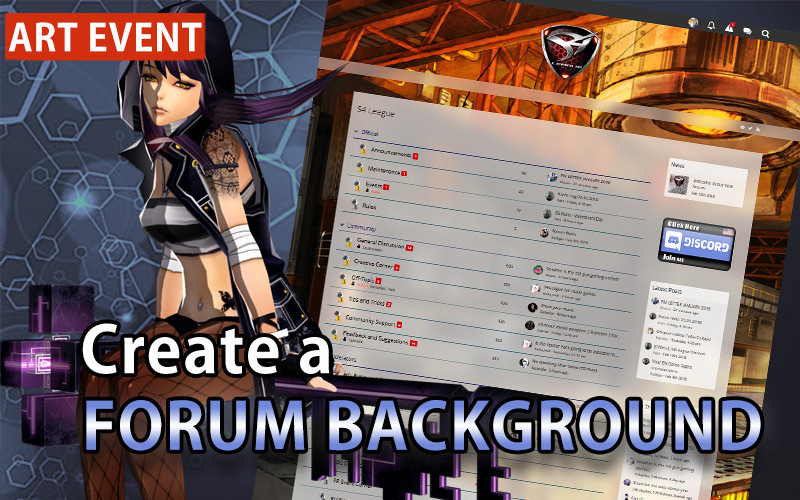 Let's celebrate Spring by replacing our old Forum background with a new one! There is a special set or map that you like? Well...use it! We would love to see how your imagination works, use existing S4 League official arts, screenshots, your own fan art or whatever you feel will look good on our forums! We have almost no limitations, in fact, there are only two - the image must be of size 1920x1080 and it must be related to S4 League. That's it!